Litecoin Creator Charlie Lee and WikiLeaks founder Julian Assange have both vowed to fight government censorship using cryptocurrency. Charlie Lee tweeted at Julian Assange and the international whistleblower organization that he had just donated to the group. Lee added that people being upset with him for donating to WikiLeaks shows why censorship resistance is so important stating if those people could they would stop everyone from donating to WikiLeaks . “The point is, it’s my money and only I decide what I do with it. Period,” Lee tweeted. The number of people upset at me for donating to WikiLeaks shows why censorship resistant is so important. If those people can, they would stop everyone from donating. The point is, it’s my money and only I decide what I do with it. Period. WikiLeaks itself was an early cryptocurrency advocate first starting to accept cryptocurrency donations in 2011, after a banking blockade attempted to cut the non-profit publisher off from its revenue streams. This caused widespread backlash as the international hacking collective Anonymous took down websites of Mastercard, Visa, and PayPal under Operation Payback. Julian Assange thanked the U.S. government earlier this year in October, claiming his organization has made a 50,000 percent return on Bitcoin after investing in the cryptocurrency. 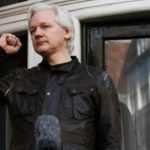 Assange compared the prices of Bitcoin from July 18, 2010, and October 14, 2017, using Coinbase at the time. The team opted for Bitcoin and later Litecoin to fund its operations, and they have since expanded recently to accepting the more secure altcoin Zcash as well. WikiLeaks supporters may find this advantageous to still be able to provide support for Assange in the Ecuadorian embassy but not end up on an intelligence agency watch list in the process simply for donating to the organization. The whistleblower coalition is currently running a sale on its store for users who purchase products from the WikiLeaks Shop using digital currency offering 5% off the total order. Litecoin is currently trading at [FIAT: $340.94 ], Bitcoin is trading at [FIAT: $18,209.60 ] and Zcash is trading at [FIAT: $569.52] according to Coin Market Cap at the time of this report.